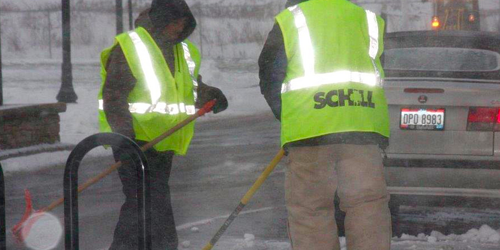 Every year, the Schill team plows, shovels, and melts snow from thousands of parking spaces and hundreds of streets and walkways. Interestingly, because we service so many properties all over Northeast Ohio, many potential clients are surprised when they discover that we only take on a limited number of clients during the winter. We do this because maintaining the highest levels of safety on our clients’ properties is always our highest priority. In fact, every snow removal company, no matter the size, is limited by their available labor and equipment. These resources must be very carefully allotted in order to make sure our customers get the highest level of service. Moreover, we intentionally keep the routes that our crews follow small so that they can circle back around to plow the same sites again within a few hours in case snow fall is exceedingly heavy. This helps us make sure that when it snows, our crews can service every property as quickly and as safely as possible. While we can't take on every potential client, we do want everyone to have access to reliable snow removal this winter. For this reason, we wrote this article on the many benefits of hiring your snow removal contractor or renewing your contract as early as possible. Many of our potential clients are stunned when they find out just how much logistical planning and preparation goes into coordinating our before and during the winter season. Months before the first snow event of the season, we conduct pre-season inspections on each property we’ll service throughout the season. During an inspection, we make note of potential hazards, and observe your property in various types of weather and traffic conditions. This helps us identify drainage issues (ie standing water that can become an ice patch) and problem areas that may need more attention. After this, we assign our crews to geographical “zones.” They not only have to know how to get to their properties no matter the road and weather conditions, they also have to know where each salt storage facility is for each location. As we mentioned before, our routes are designed so that they can be repeated the same day if snowfall is particularly heavy. This means that efficiency is critical at every site, no matter the conditions on the ground. Our teams spend weeks practicing their routes so that they can work quickly and effectively whether there’s a light dusting on the ground or a blizzard has dropped several feet of snow. This is only possible if our clients sign on with us far ahead of time—preferably in summer but reasonably by early fall. The sooner you reserve your spot, the sooner our team can create a plan of attack for snow and ice on your property. 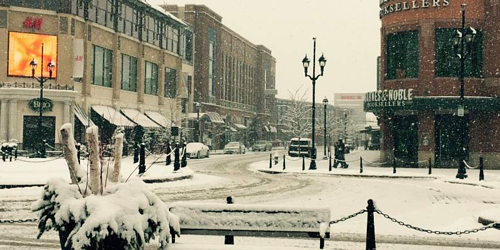 Want to learn more about comparing snow removal bids? Once our trucks, crews, and subcontractors are assigned to routes, reassigning them so close to a potential snow event isn’t just inconvenient, it can also prove dangerous if the teams are not well prepared. Again, because we value safety above all else, each year we have a cutoff point at each of our three locations when we will no longer take on new customers. 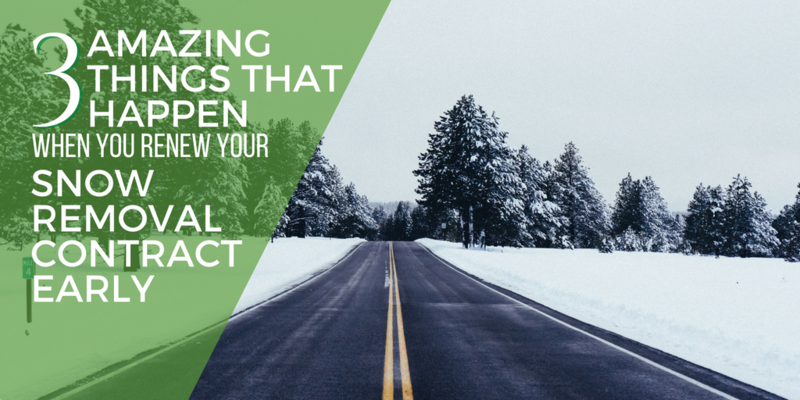 And if weather forecasts indicate that snow is going to fall early in the season, that date can take some property owners and managers by surprise. We understand that safe, efficient snow removal is a necessity and want to make sure that everyone has a chance to get the service their property needs. For these reasons, it’s important not to wait too long to find a snow and ice management solution. It’s common knowledge that the best workers are often the most experienced ones, which is why we work hard at Schill to develop our employees and keep them happy. Customers who renew their contracts early often get the added benefit of having the same team of snow removal experts service their property every winter. Having the same crews work on your property year after year means that they know the location inside and out. Even by the end of one season, our teams will be much more efficient than when they were first being trained on site; by that same logic, a crew that has been removing snow from your commercial property for years will probably operate better than a one that’s working your property for the first time. Trust Schill To Properly Plan. Call Us Today. 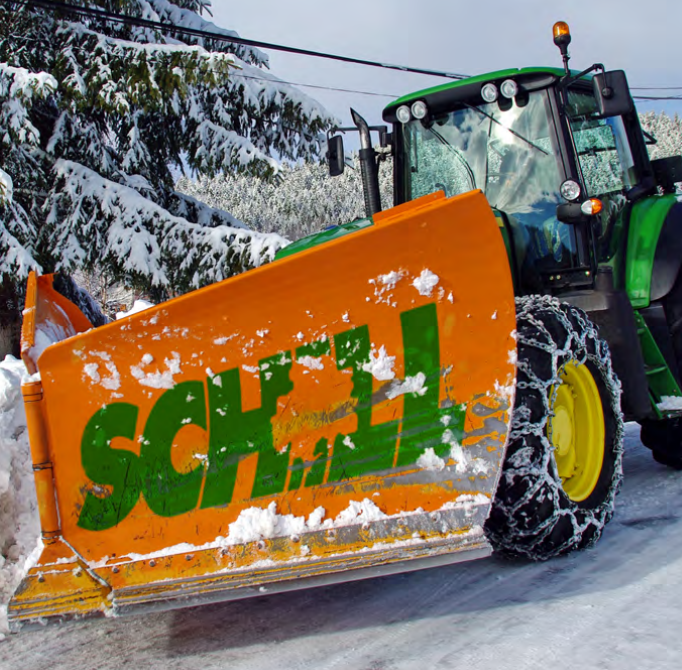 Here at Schill, we work hard guarantee that our team is well prepared to fight winter weather and we want to make sure our clients get the highest level of service. However, we can only do that if we have time to plan and our equipment is properly allotted. Waiting until the last minute to hire a snow removal contractor or to renew your contract makes it harder for you to get the amount of attention and preparation that you deserve. Even worse is the possibility of having to hire a contractor that isn’t qualified because other vendors have stopped taking on new customers. Give us a call today for a no-obligation consultation or to talk about how to renew your snow removal contract. We love talking to local property managers and owners about their winter grounds management needs.